Here we go to the volcano once again. A new secret Battle Star has become available to Fortnite: Battle Royale players who have completed five full sets of weekly challenges in season eight. This new Battle Star came with the release of the week five challenges, which now let players unlock a new loading screen upon completing all three free and four premium Battle Pass challenges. They’ll be able to find this item in the Fortnite island when playing any core game mode (Solo, Duos, and Squads) or any other Battle Royale mode that’s not Playground. That means big-team modes that give players more room to explore the map, like Team Rumble, are also valid. Players get a free Battle Pass tier upon picking it up. Completing all week five challenges alone will not let you see this secret Battle Star. You can only unlock it in the Fortnite island once you complete five full sets of weekly challenges, which means that if you’re looking for it after only five sets are available, you’ll have to complete all sets to see it. When more sets are available, finishing off any five is enough. Only players with the premium Battle Pass can see secret items, since players can only finish full sets of weekly challenges if they pay for the Battle Pass. A hint to the location of this secret Battle Star is hidden in the week five loading screen. 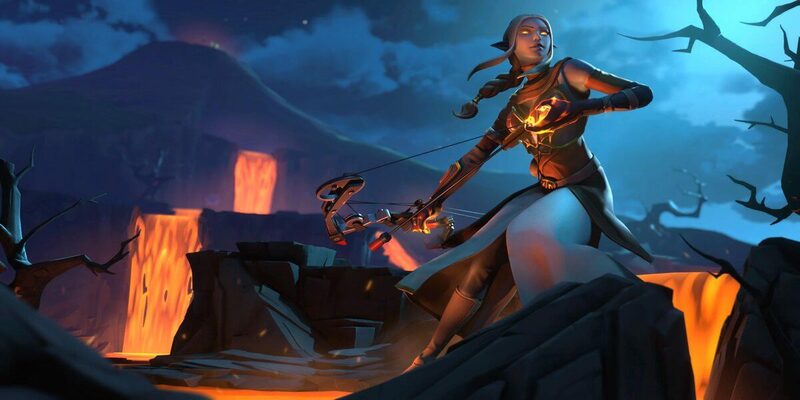 The image shows Ember using a bow near the volcano in the northeast area of the map. 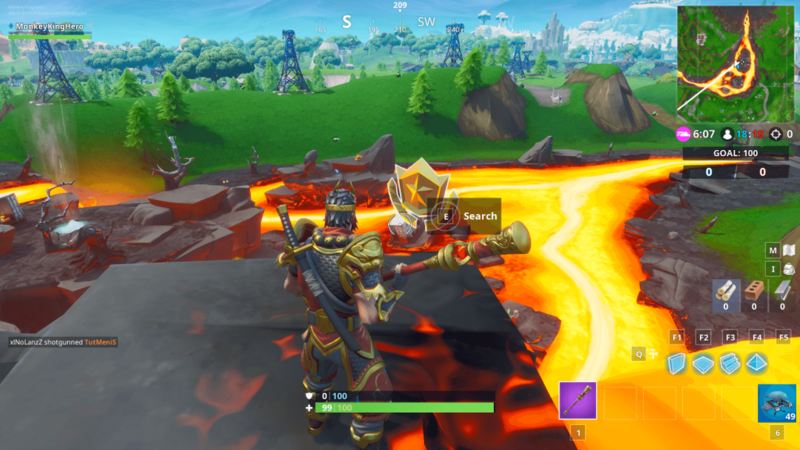 We can see lava falling behind her and a very transparent icon next to a tree. 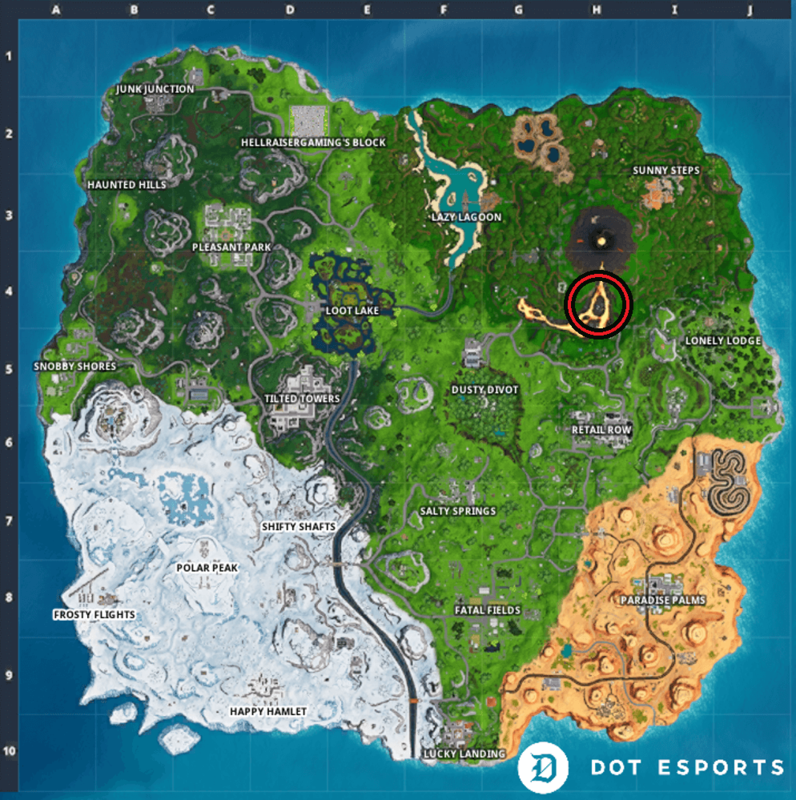 That’s what indicates the area of the secret Battle Star in the Fortnite island. 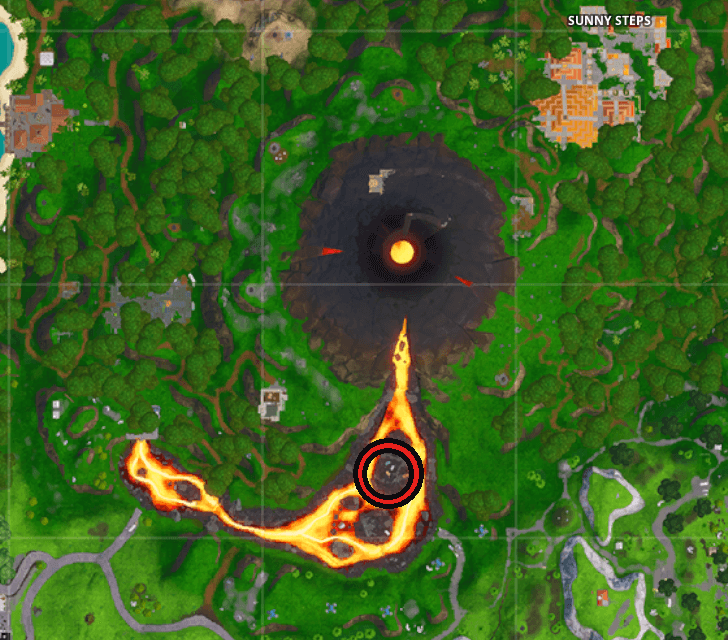 When you go south of the volcano and look at it, you can notice that the area where the Battle Star icon is floating is between two lava falls, but closer to the left one. There’s a small area with some different soil, and that’s where players will find the Battle Star floating. Go there, interact with the Battle Star, and grab you free Battle Pass tier.